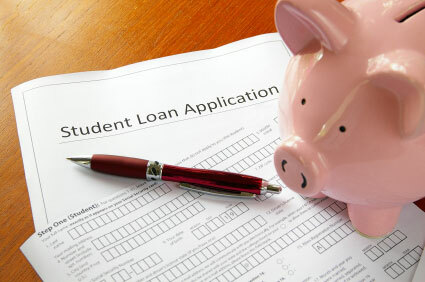 When planning for your college education, it is necessary to consider all avenues of financial aid. Even if you qualify for a Federal or State grant, or a university scholarship, you will likely find yourself with some measure of unmet need. A student loan is the obvious answer, but who should you turn to for the best service and most competitive rates? Wells Fargo offers a wide assortment of student loan programs that will help you close the gap in your college fund. They provide private loans for students, loans for parents of college-bound students, and they also administer many Federal loans. With Wells Fargo you can find the extra money you need to make your college dreams a reality. While the Federal government offers a number of student loans designed to make a college education more accessible to all students, it is sometimes easier to manage these loans through a private lender. Wells Fargo works with the Federal government to administer and manage many of their student loan programs. For example, the Federal Stafford loan, while funded and guaranteed by the government, can be borrowed from a private lending organization like Wells Fargo. This allows students to take advantage of the full benefits of a government loan, while having access to the personalized service that only a private lending organization can provide. All of the standard Stafford loan requirements and benefits apply. Applicants must be enrolled at least half-time in an accredited institution, and they must meet the required merit and need qualifications. Approved borrowers get the standard payment deferment plan as well as subsidized interest, just as they would if borrowing direct from the Federal government. But with Wells Fargo borrowers get the added convenience of personalized service and money management advice. Wells Fargo can help you manage all of your Federal student loans, including the Stafford Loan, the Perkins Loan and the Federal PLUS Loan for Parents. While Wells Fargo can help students manage their Federal student loans, they are primarily a private lending organization. When you find that your grants, scholarships and government loans fall short of the mark of covering your college expenses, Wells Fargo has student lending opportunities for you to consider. Wells Fargo offers a number of private lending options for both undergraduate and graduate students. The Wells Fargo Collegiate Loan is their premier loan package. This loan can help students cover the bulk of any unmet need they are faced with when it comes time to enroll in college. The Collegiate Loan has no maximum lending limit, and students can choose a fixed or variable interest rate. The loan also has no fees application fees, or penalties for early repayment. In most cases, applying students will need to have a cosigner in order to receive a loan and to qualify for the most attractive interest rates. As with Federal loans, all money is paid directly to your college of choice and the school will distribute any unused funds to you. As with any loan however, it is wise to only borrow what you absolutely need for tuition. The loan will be accruing regular interest, and you will be responsible for all monies owed to Wells Fargo when you graduate. In many cases, students opting to attend a community college or vocational school have found it difficult to find financial aid. At Wells Fargo they offer the Student Loan for Career And Community Colleges, specifically designed to help students a two-year Community college or Trade school for the purpose of career training. The Student Loan for Career and Community Colleges offers a loan limit of $10,000 per year, with an aggregate limit of $30,000. There are no fees associated with the loan, and no penalties for early repayment. As with all of Wells Fargo's student loans, monies are paid directly to the school and disbursed as needed. Applying students must be enrolled at an eligible school, and must have a suitable credit score or cosigner to qualify. In many cases, a parent or guardian will take out a loan to help their children pay for a college education. Wells Fargo understand the desire parents have to help their children embark on their college careers, and now offer the Wells Fargo Student Loan for Parents. This loan is designed to help cover any unmet college costs after all Federal loans and grants have been received. Parents can borrow up to $25,000 a year to help pay for their children's college education. There are no application or early repayment fees, and interest rates are contingent on an applicants credit score. Wells Fargo is dedicated to helping students achieve their goals of a college education. Their student loan programs are highly competitive, and can help bridge the gap left by other forms of financial aid. As with any private loan, applicants should read all of the fine print, borrow only what they need for college costs, and be mindful of all repayment schedules.